A powerful, timely, dazzling collection of sonnets from one of America's most acclaimed poets, Terrance Hayes, the National Book Award winning author of "Lighthead." 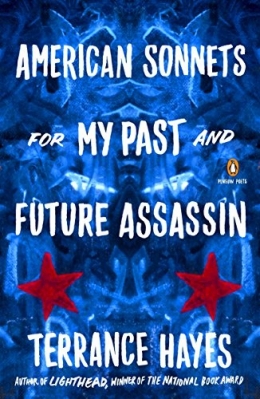 In seventy poems bearing the same title, Terrance Hayes explores the meanings of American, of assassin, and of love in the sonnet form. Written during the first two hundred days of the Trump presidency, these poems are haunted by the country's past and future eras and errors, its dreams and nightmares. Inventive, compassionate, hilarious, melancholy, and bewildered -- the wonders of this new collection are irreducible and stunning." 91 pages ; 22 cm.